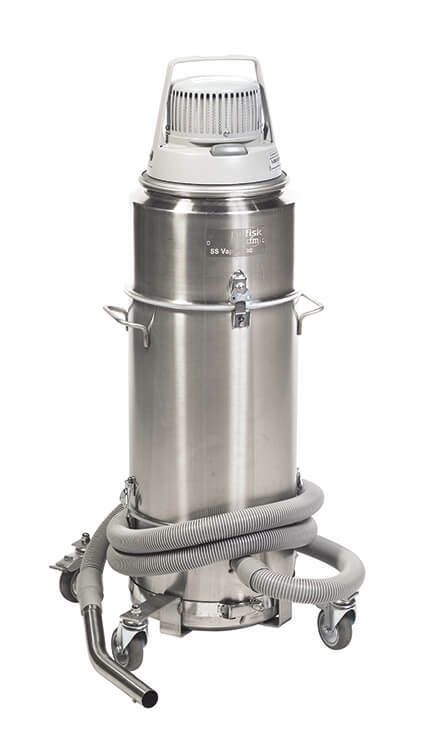 The Nilfisk SS Mercury Vacuum recovers liquid mercury spills and granular mercury compounds effectively, while adsorbing mercury vapors in the process. 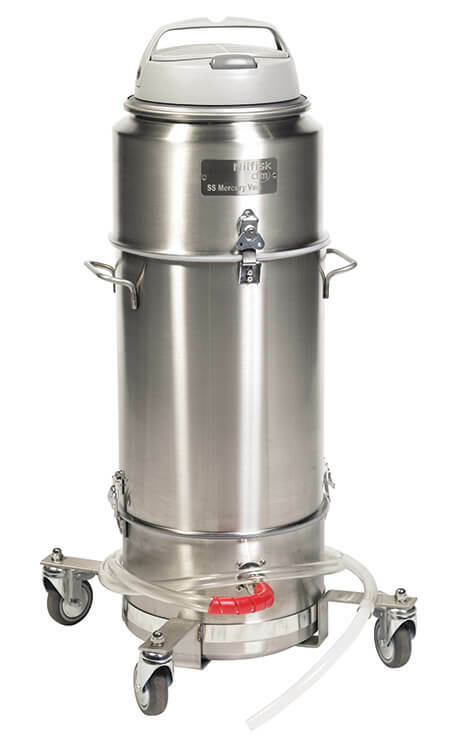 This model features a 316 stainless steel body, removable carbon filter cartridge, optional exhaust HEPA filter and heavy-duty trolley. Dimensions (L x W x H) 22.0 x 22.0 x 35.0 in.